Long-haul flights are the worst. If you’re on a 10-hour flight, cramped up with legroom that even a dog couldn’t fit in, food that is only fit for a prison cafeteria, in seats that I can only imagine are filled with more germs than a toilet, you’re in for one hell of a ride (literally). Here are seven tips to make your Economy experience a little less miserable and — although not exactly like First Class — a whole lot better than your buddies who didn’t read this post. Before picking your seats, check Seat Guru. You’ll find critical seat information like if you’re going to be stuck sitting next to a bassinet (a.k.a. a screaming child) or the bathroom (a.k.a. poop smells) all flight long. If traveling with a friend, book the window and the aisle seat. More often than not, the center seat will remain empty which = more room. And even if someone swoops that seat, they will only be extra grateful to you when you ask them to switch to the window. Just because you’re not in First Class doesn’t mean you can’t drink like you are. First Class offers top shelf liquors. So, if you’re a booze snob (I hope to be you one day by the way), head to BevMo and purchase premium mini liquor bottles to take on the plane. If you only care about the buzz (holla! ), it’s all about how you drink that drink. Pack a mini cocktail kit and a plastic champagne flute for ultimate luxury that even your Instagram won’t be able to tell you just faked. Let’s be real, Economy in-flight meals will never win Top Chef or even, say, a pre-school cooking competition. The real difference between Economy and First Class (aside from the seats which, well, there’s no solution for that) is the food. The key here is snacking. First class offers a wide array of options available any time during the flight, so be sure to pack a variety of treats. A few of my favorite are: clementines, a cheese and crackers snack box (thank you, Starbucks), See’s Candy, nuts (to go with your cocktails obvi), dried/fresh fruit, coconut water (which you should purchase at the airport), pretzels, and a small pack of almond butter. Sure, you run the risk of looking like a serial killer for 30 minutes but it’s well worth the temporary embarrassment. Grab one of those sheet masks, head to the bathroom, wash your face and your hands and once you’re back at your seat, plop that baby on. If you’re on the shy side, wait until the cabin lights are dimmed. Bonus tip: make sure it doesn’t have a strong smell, you want to avoid acting like a serial killer. On long haul flights, First Class fliers get their own personal jammies. If they get it, so should we, amirite? Bring a change of cozy clothes to put on whenever you’re ready to hit that snooze button. Oh, and don’t forget some socks (compression socks are the best). This one is a must. For ultimate relaxation, don’t forget a heavy duty eye mask and a pair of ear plugs to drown out your neighbor’s snores. 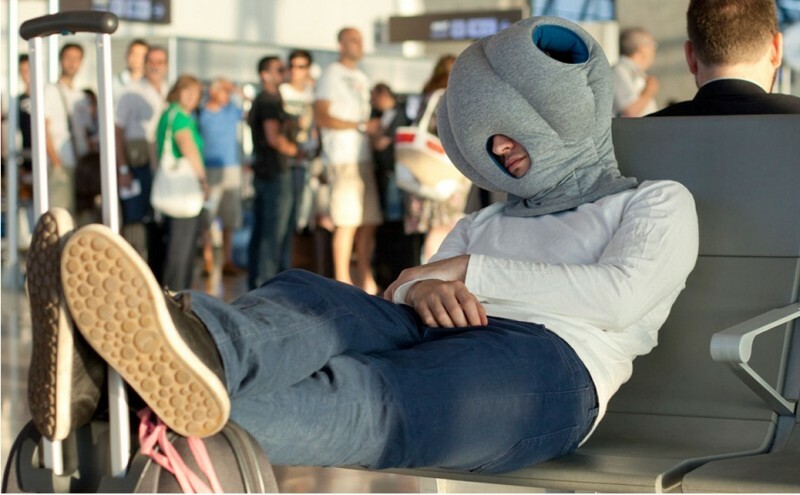 If you’re fancy enough to have a pair of noise-canceling headphones … well, I’m incredibly jealous of you. Most airlines provide decent entertainment, even in Economy. But, if you really want to take it to the next level, download a bunch of movies on your iPad. Just make sure it’s charged before takeoff or bring a portable charging stick. Pack a ziplock full of popcorn and you, my friend, are all set. And now I know it won’t be exactly like Upper Class, but it’ll sure make your Economy experience a whole lot more bearable. Hopefully, this makes you less likely to channel that iconic scene from Bridesmaids where you put on your biggest shades and sneak into the First Class Cabin, Mrs. Iglesias. Remember, a flight is just that. A flight that takes you somewhere new, somewhere special, and begins your journey to discovery. So what if you have to sit in a smelly, cramped tube for several hours? At least you’ll have extra money to spend on the actual adventure now. The post 7 Ways to Fake a First Class Experience in Economy appeared first on Vagabondish.